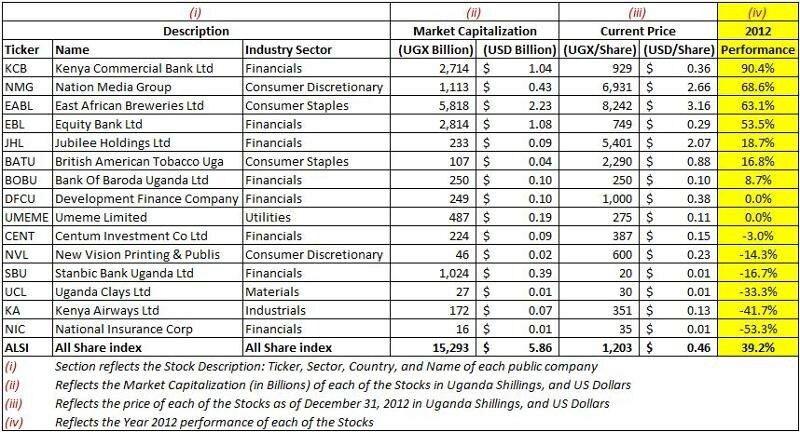 The Uganda All Share Index (ALSI), a composite measure of the performance of the Uganda stock market, was up 39.2% during 2012, outperforming the US stock market and Developed market indices. 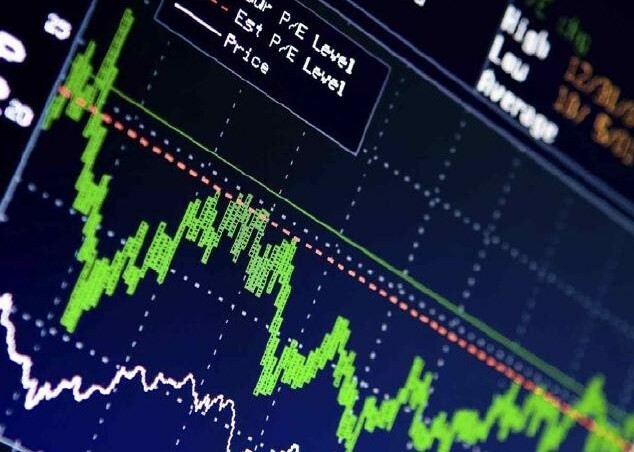 The S&P 500, an index that reflects the performance of the largest 500 public companies in the US, and the MSCI EAFE (Europe, Australasia, Far East), an index that reflects the performance of the Developed equity markets outside of the US and Canada, returned 16.0% and 17.3% respectively. ALSI also outperformed the MSCI Emerging Market index which returned 18.2% during 2012. Kenya Commercial Bank (+90.4%) and Nation Median Group (+68.6%) were the best performing stocks with National Insurance Corp (-53.3%) and Kenya Airways (-41.7%) closing the year as the worst performers (see Figure 1). 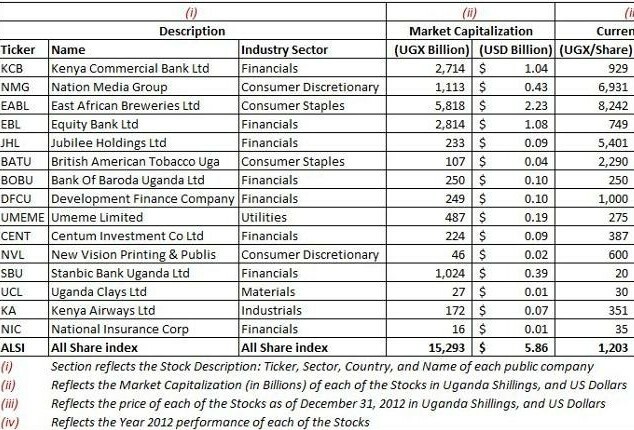 Given the performance of most of the banks, it’s surprising that Stanbic Bank closed the year down 16.7%. Uganda’s economy grew at a 3.4% rate in 2012 down from the 6.7% rate it saw in 2011. 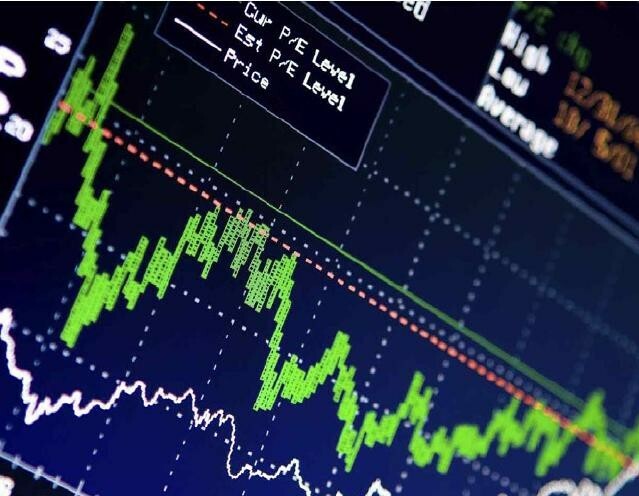 The economy is expected to grow at a 4.0-4.3% annual rate in 2013. Companies operating in Uganda continue to face high borrowing costs, and consumers with limited access to cheap credit facilities. Uganda remains a net importing economy with consistent negative current account balances. As of the 2011-2012 fiscal year exports constituted 15.8% of GDP while imports stood at 31.3% of GDP, about double the level of exports. As highlighted in our October 7, 2012 summary, the Ugandan economy suffered higher inflation rates in 2011-2012, kicking off the year at 25.7%. A tighter monetary policy by Bank of Uganda, relief from the drought that caused food scarcity hence higher food prices, and relatively lower oil prices, saw the inflation rate rapidly decline through the year with core inflation closing at 4.6% in December 2012. Bank of Uganda’s policy target for the core inflation rate over the medium term is 5.0%. Uganda’s economy remains vulnerable given the still unstable global, especially Eurozone economy. According to Bank of Uganda and the Uganda Bureau of Statistics, the Eurozone accounted for 22% of Uganda’s 2011-2012 export trade. 23% of workers’ remittances and 32% of foreign direct investment came from the Eurozone in 2011.